After organising a Grand Prix for 26 years in a row, you'd think the Hungarians would've learnt something about logistics. Two weeks ago we visited our first Grand Prix. In Hungary. And it was a mixed experience. 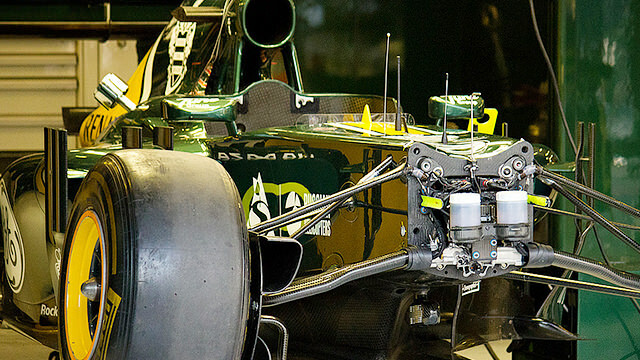 We had seen F1 cars before, at car shows, under stage lights. But to hear the sound of the engine at full racing speed for the first time is simply incredible. 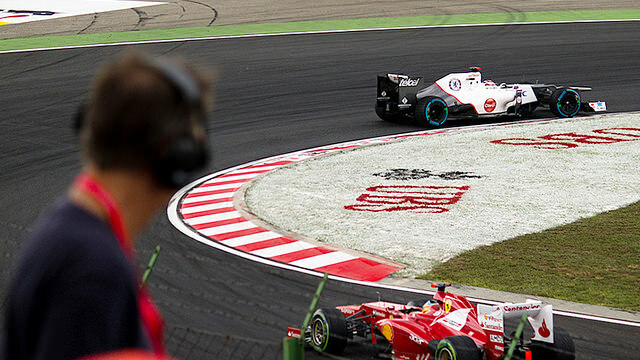 Watching GP2 cars is fine without earplugs, but for F1 they are absolutely necessary. Especially when on Sunday 24 of those mighty machines come blazing down the straight towards the first corner, where we were sitting. We're in the stands with fans of Kimi Räikkönen. 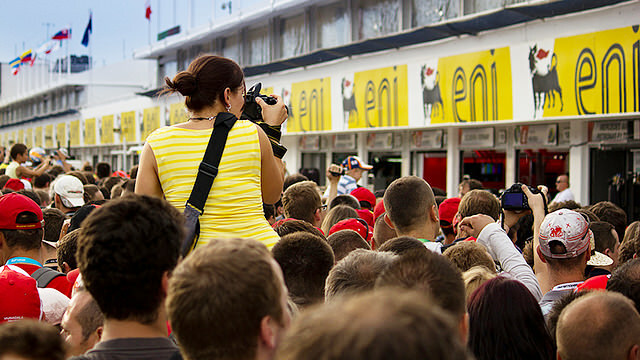 Hungary is the closest Grand Prix to Finland, so many Finns visit the race. Every time Räikkönen passes, they cheer. And when he comes out of the pits in front of Grosjean in Sunday's race, they stand up and applaud. But fans of Alonso are boisterous as well. When the championship leader leaves the pits, all the red shirts come out of their seats and wave their arms. When the Spaniard has rounded the corner, one woman raises a middle finger to her friend, who's wearing a Red Bull shirt. People from across the globe sit near us: Russians, Spaniards, Americans, Japanese. Males in their mid-forties are well-represented, including beer bellies and team shirts. But there are also a surprising number of women, wearing caps of their favourite driver or waving Finnish, Australian or Ferrari flags. The atmosphere around the track is excellent all weekend. The sun is shining brightly and the cold, but expensive beers from the bar keep everyone hydrated. But not everything is well-organised. On Thursday the shuttle buses don't run, even though the pit walk is scheduled on the programme. We try to reach the circuit by public transport. The railway stations nearest to the track are still a good 45 minute walk from the Hungaroring. Two locals, who are obviously aware of the lack of transport, offer to drive us there. For a small fee, of course. We negotiate and he accepts our offer. On Sunday after the race the shuttle buses do run, but not for the better. Thousands of people poor into a tiny square in Mogyoród, the town where the circuit is located, to wait at the bus stop. There are no barriers, and the policemen on site make no attempt to manage the mass of F1 fans. Everyone tries to jump the queue when a bus arrives. If one arrives, that is. After waiting for an hour, people walk up the street to try to intercept the shuttle buses. The police finally come into action, but the damage is already done. At that moment, we decide to flee to the main road and hail an illegal taxi. It costs us an extra 25 pounds to get back to our apartment in Budapest, but it was well worth it.